What a headline, huh? Not one but two whole anime features that’ll be released for PSN. The animes were revealed last week at a Sega press conference. 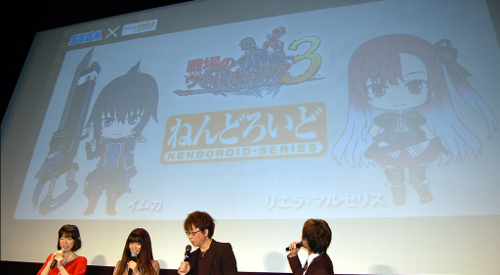 The conference had a lot of treats such as a reveal for the theme song which will hit Japanese store shelves in February. Of course the biggest surprise of the conference was indeed the announcement of these two anime films based on the game, which will feature the original voice cast from the game as well. The anime films are to be released in Spring next year. Personally I think this is a fun little tie in, and knowing Sega, its sure to have some great production value behind it. What about you, though? Excited to watch your new favourite characters fighting in anime style? Or are you a joyless creature who hates anime and Valkyria Chronicles all in one? Tell me in the comments! Sonic Generations Demo heading to Xbox Live Arcade and Playstation Network tomorrow!